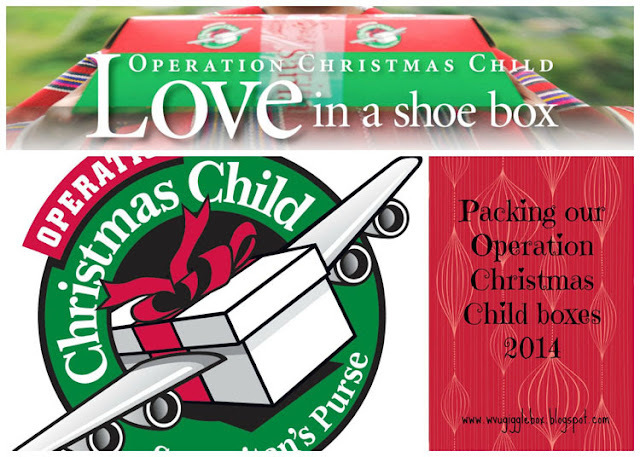 Like last year, OCC gives you the availability to build a box online. An awesome way to try and get all involved. If you are actually making a box of your own, you can find the nearest drop off location by clicking here. Did you know that you can follow your boxes? All you have to do is pay your $7 donation online by clicking here. My mom is taking my boxes this weekend, but next year I might do this. Stumped on ideas for your boxes? I've got a board on Pinterest filled with awesome ideas for all ages of boxes and budgets. Follow Lucy's board OCC Box Ideas on Pinterest. Like I said earlier, I've been buying stuff throughout the year. I did do a majority of the shopping this past week. Do you buy throughout the year or right before turning the boxes in? When Michael and I were at the Dollar Store the other day picking out candy for our boxes, we saw two ladies with their OCC boxes seeing if the items would fit. How do you shop for your items? Better yet, where do you shop for your items? I've bought my items this year mostly at the Dollar Store, Big Lots, Target, and Walmart. Starting this year, the following items should NOT be packed in the OCC boxes: Candy; toothpaste; used or damaged items; war-related items such as toy guns, knives, or military figures; chocolate or food; seeds; fruit rolls or other fruit snacks; drink mixes (powdered or liquid); liquids or lotions; medications or vitamins; breakable items such as snow globes or glass containers; aerosol cans.